1000 Constitution Ave., Washington, D.C. 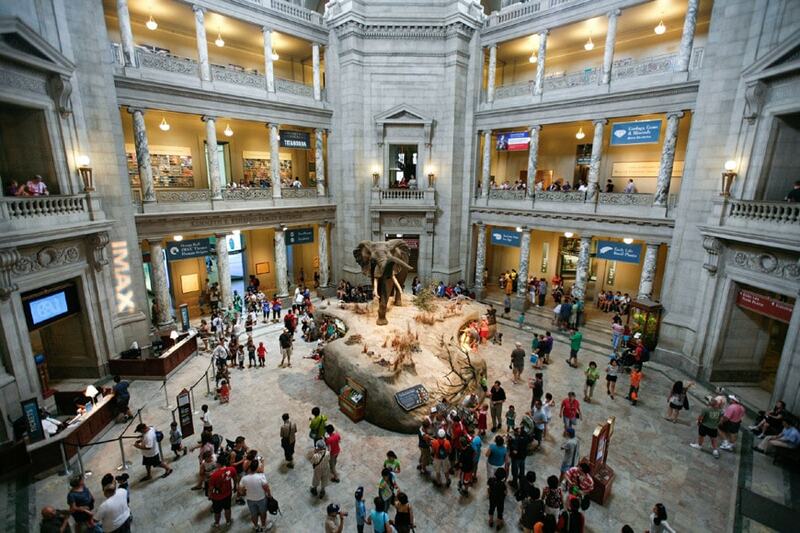 The Smithsonian National Museum of Natural History (NMNH) in Washington, D.C. is the world’s most visited natural history museum, with over 6 million visitors in 2018, as well as a renowned research center focused on life on Earth. Founded in 1846, the museum moved in 1910 in an imposing 1,5 million-square-foot building, located on the National Mall in the so-called Smithsonian Quadrangle, next to many other popular museums. 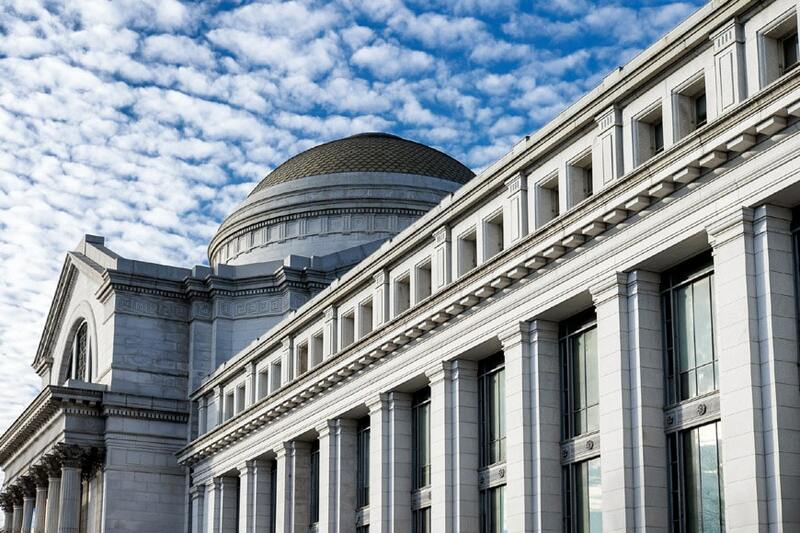 Designed by architectural firm Hornblower & Marshall and by architect Charles Follen McKim, the Neoclassical building of the National Museum of Natural History is topped by an iconic dome whose design is clearly inspired by that of the Pantheon in Rome. 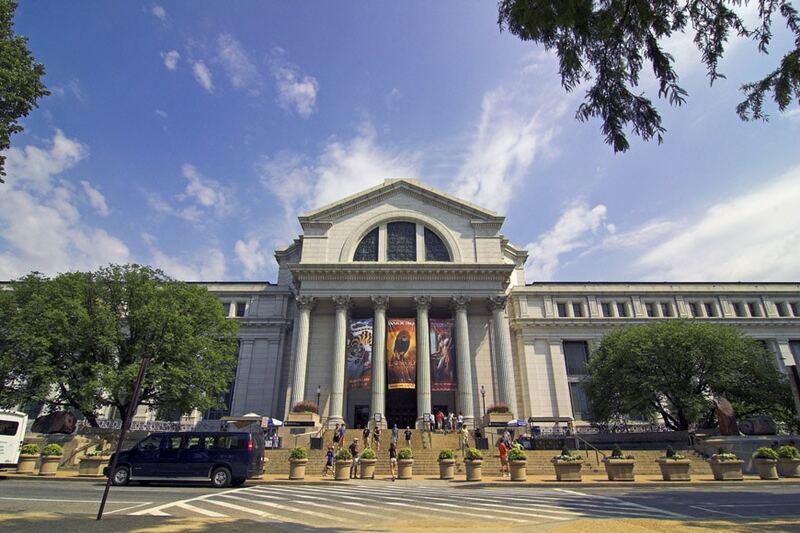 Originally, the NMNH was part of the United States National Museum. In 1957, the old museum was split into two different institutions: the Museum of Natural History (then renamed to National Museum of Natural History) and the Museum of History and Technology (now known as National Museum of American History). National Museum of Natural History, the facade on Madison Drive NW. Photo Albert Lynn. 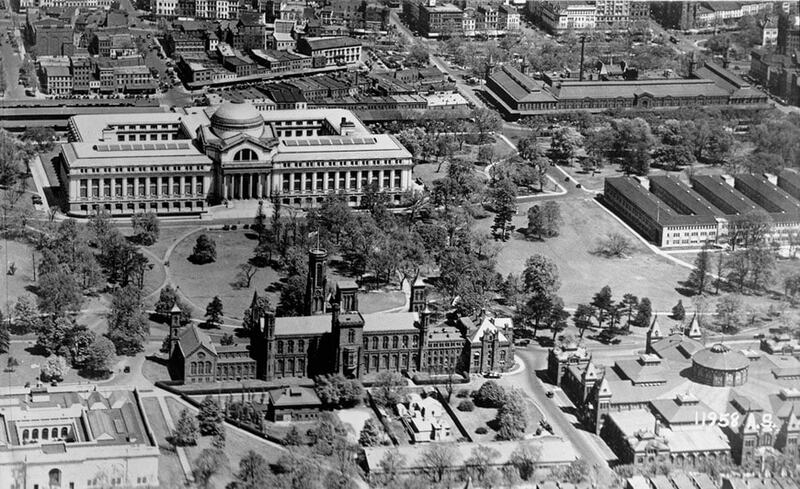 An aerial view of the National Museum of Natural History building in 1932. Photo Army Air Corps / Smithsonian Institution. The permanent collection of the National Museum of Natural History consists of over 126 million pieces, a part of which is displayed in the museum galleries, alongside with multimedia and interactive exhibits. The museum is organized into seven departments: Anthropology, Botany, Entomology, Invertebrate Zoology, Mineral Sciences, Paleobiology, and Vertebrate Zoology. The museum’s Rotunda with its famous African bull elephant diorama. Photo Alex Proimos. The David H. Koch Hall of Fossils, also featuring a famous skeleton of a Tyrannosaurus Rex, is closed for renovation until June 8, 2019. An IMAX cinema and a gallery dedicated to Korean culture complete the core exhibition. The National Museum of Natural History organizes temporary exhibitions, workshops, guided tours, special events and educational programs particularly suited to children, families, and schools. The museum includes two cafes and four stores and is fully accessible to physically-impaired people. 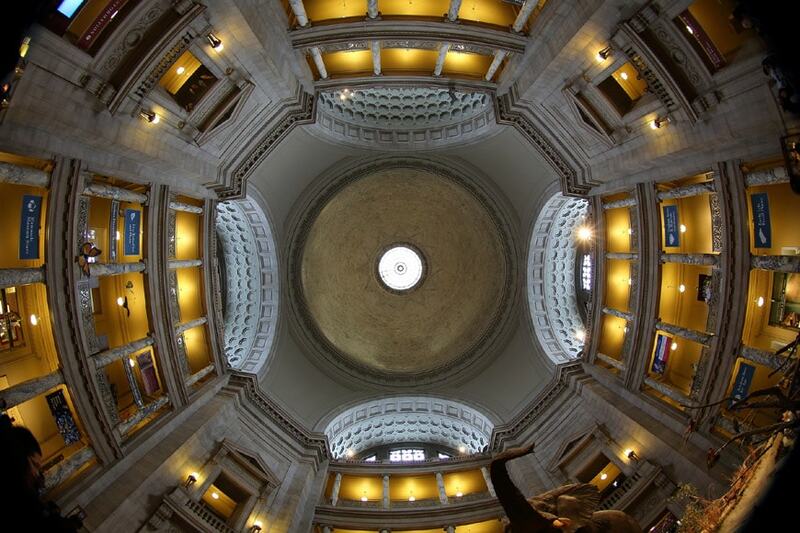 The NMNH Rotunda dome, designed by architect Charles Follen McKim in the early-20th century. Photo Mr.TinDC. 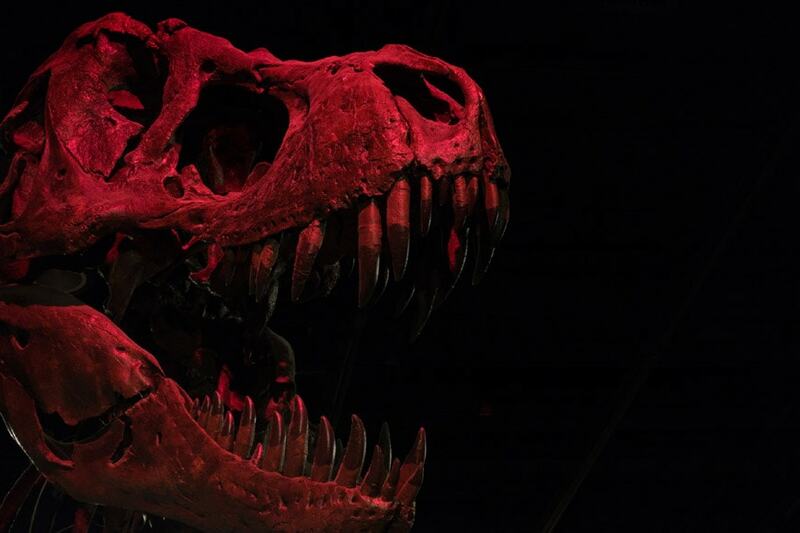 A skull of a Tyrannosaurus Rex dinosaur on display on the ground floor of the museum. Photo John Sonderman. 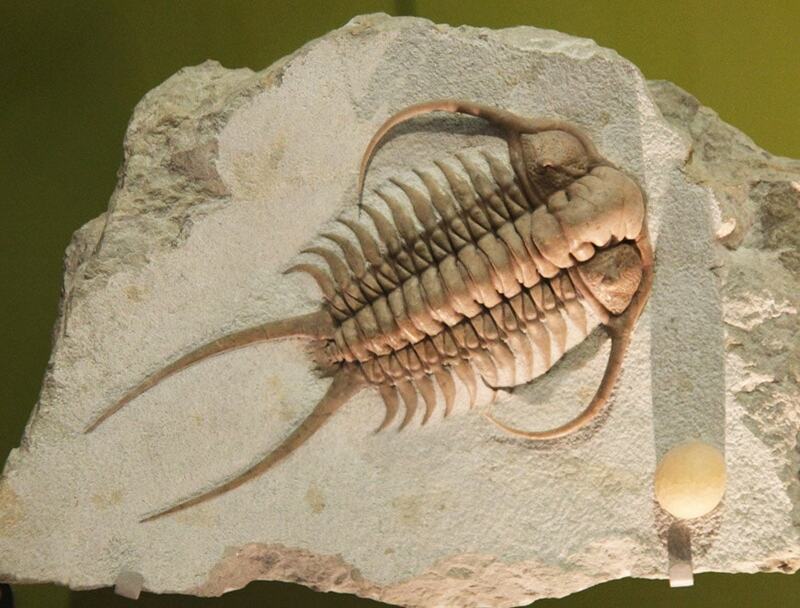 A 400-million-year-old Cheirurus trilobite, on display in the Sant Ocean Hall. Photo Tim Evanson. 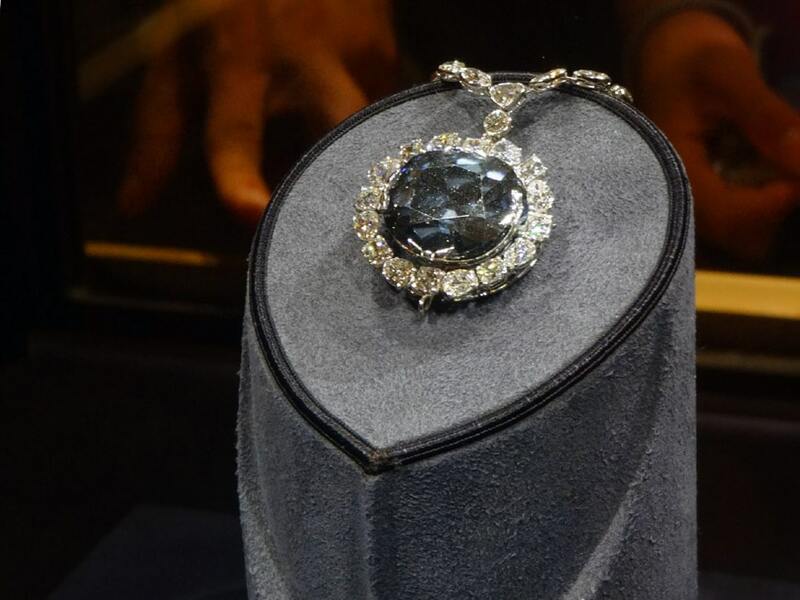 The Hope Diamond, one of the most famous gems in the world; the modern pendant setting was designed by Cartier in the early-1910s. Photo Verifex. 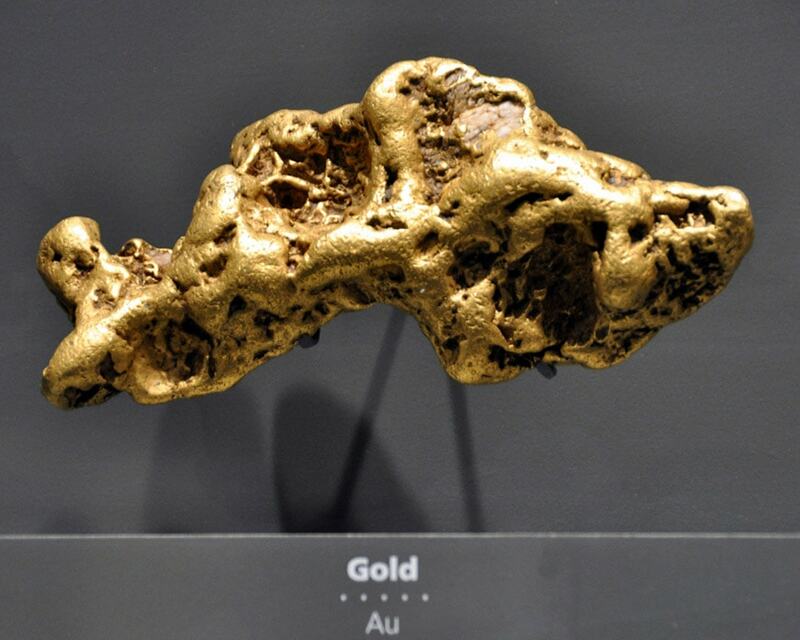 A gold nugget discovered at Sutter’s Mill, California, in February 1848. Photo Kevin Harber.